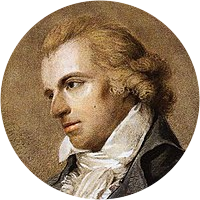 A collection of the best Friedrich Schiller quotations. Dare to be wrong, and to dream. Grace is a kind of movable beauty. With folly even the gods contend in vain. Deep meaning oft lies hid in childish play. A brave man risks his life but not his conscience. In what they leave unsaid I discover a master of style. Opposition always enflames the enthusiast, never converts him. The jest loses its point when one who makes it is the first to laugh. Deeper meaning resides in the fairytales told to me in my childhood than in any truth that is taught in life. So mercy must encircle friend and foe.